“We were living in a country where teachers were paid poorly and teaching in miserable conditions,” said pro bono client Jean B., a high school history and geography teacher in the Republic of Congo. Mr. B. was part of the leadership of one of the teacher’s unions in the country, known for its long history of grievances between the teachers and Congolese government. In an effort to create change, the teachers went on strike in 2013. When the government offered Mr. B money to stop the strikes, he refused to take the bribes. Instead, he wrote a newspaper article criticizing the government and supporting the strikes. Viewed by the Congolese government as a political opponent, Mr. B. was interrogated and arrested three times between May 2013 and June 2014. He was also severely beaten. After his third interrogation and beating, he was assaulted and left in a small cell for two days with no clothes or water. All told, Mr. B. was detained for 78 days without charge or process, deprived of adequate food and water, held in deplorable conditions and threatened with death. Fearing for his life, he fled to the United States, leaving behind his wife and children. The NIJC referred Mr. B. to the team of Jenner & Block and McDonald’s Corporation for pro bono legal services. An application for asylum was filed in June 2015. According to Jenner & Block Partner Wade Thomson, the team filed the application using ‘tried-and-true’ methods for success. “We prepared a substantial amount of corroborating evidence to support Jean’s claims including reports from various experts and then prepared Jean to credibly tell his story at his hearing,” he said. For example, as detailed in the US Department of State “Human Rights Reports” and an expert affidavit, Congo has a history of corruption and brutal repression of political opposition under its current president. According to these reports, the major and most significant human rights problems in Congo include beatings and torture of detainees by security forces and police. Evidence also included an expert’s report about Mr. B’s post-traumatic stress syndrome and physical ailments as a result of his torture, as well as the internal consistency of his reported symptomology. Team members also included former associates Ashley Waddell Tingstad and Yasmine Kurukgy. 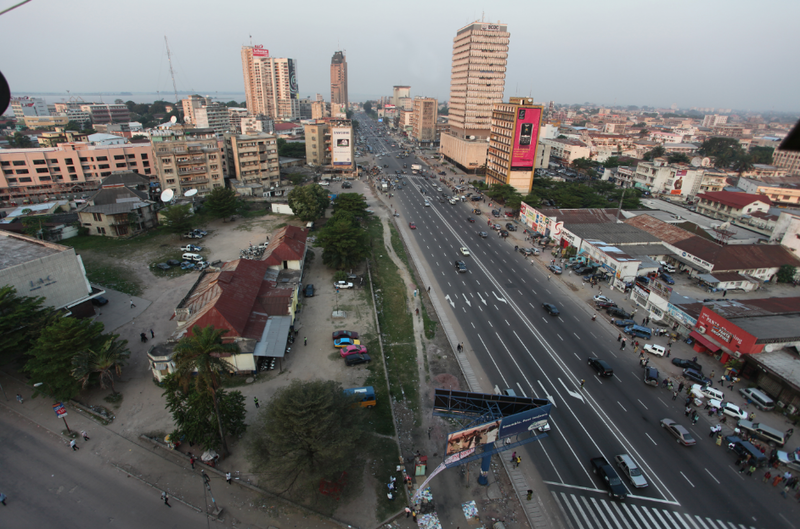 Our client, E., lived in Kinshasa, the capital city of the Democratic Republic of the Congo (DRC). In November 2011, E. volunteered with a non-governmental organization to serve as an election monitor at his local polling station during the country’s general elections. At the time, Joseph Kabila, who had been the leader of the DRC since 2001 and the elected president since 2006, was running on behalf of the People’s Party for Reconstruction and Democracy (PPRD). Etienne Tshisekedi, leader of the Union for Democracy and Social Progress (UDPS), was the primary opposition candidate. On election day, government soldiers showed up at E.’s polling station, fired shots in the air to disperse the crowd, and then proceeded to enter the polling station, where they separated the election monitors from the ballot boxes, presumably to tamper with the votes. While this was happening, E. was discretely recording the soldiers with his cell phone. After the soldiers left, E. informed the head of the polling station that he believed the soldiers had tampered with the ballot boxes to replace existing votes with votes for Kabila, and he refused to certify that the vote was legitimate and free of irregularities. The head of the voting station became angry with E., and, shortly thereafter, the soldiers returned to the polling station, confiscated and destroyed E.’s cell phone and beat him unconscious. When E. regained consciousness, he was in a nearby hospital; the next evening, after he was released, Congolese police came to his home late at night and demanded entry. Once inside, the police ransacked E.’s home, raped his wife and murdered his father-in-law, who had tried to intervene. E. was taken from his home and placed in detention facilities in Kinshasa, where he remained for nearly three weeks. During this time, he was repeatedly accused of opposing President Kabila and supporting the UDPS, and told he was going to die. E. eventually escaped with the help of a friend, who, after finding out E.’s location, bribed a prison guard to obtain his release. E. then spent more than a year hiding in the DRC and Angola before fleeing to the United States in March 2013. In late 2013, Jenner & Block took E.’s case from the National Immigrant Justice Center. At that time, E. had been detained at the US-Canada border and was in removal proceedings. In early 2014, the firm filed E.’s asylum application with the Chicago Immigration Court. Due to the backlog in the immigration system, E.’s merits hearing was scheduled for May 24, 2018—more than four years after the filing of his application. During the intervening years, the team worked closely with E. to collect documents and letters of support from his family and friends in the DRC. In total, the team submitted more than 60 exhibits to the Immigration Court, including letters from family and friends, medical reports and death certificates, and affidavits from the Kovler Center for Survivors of Torture and from an ivy-league professor who has testified before Congress. During the merits hearing, both the Immigration Court and US Department of Homeland Security (DHS) acknowledged that E.’s case was one of the most well supported they had seen. After DHS completed a lengthy cross examination, the government conceded that E. had established past persecution and that he could not safely return to the DRC. The court then made a finding that E. was entitled to a grant of asylum. But the court was not able to enter a final order granting asylum at that time because the government had not updated E.’s biometrics before the hearing. On August 1, 2018, the team reconvened before the Immigration Court, and E.’s long journey came to a successful end. After confirming that his biometrics and background checks were up to date, the court entered an order granting E. asylum. The team was led by Partners Peter Brennan and Michele Slachetka and included Associates Jory Hoffman and Huiyi Chen. Asylum and immigration cases have long been a hallmark of Jenner & Block’s pro bono program. We have defended immigrant children against deportation and have helped children and adult asylum seekers remain safely in the United States. We serve as co-counsel with nonprofits such as the National Immigrant Justice Center, Kids in Need of Defense and others, and our pro bono efforts were rewarded in 2018 with the Catholic Immigration Legal Network’s Pro Bono Award. Partner Michael Ross, whose pro bono practice focuses on helping abandoned and abused minors seek asylum, is among the many Jenner & Block lawyers who have helped children and teenagers escape abusive environments at home, receive green cards and find homes. Marcos, a seventeen-year-old Honduran boy, had fled to the United States because he was being persistently abused by his grandmother and the other family members with whom he had been living. But today, thanks to firm efforts, Marcos is living happily with his mother in the Bronx, where he is attending high school and enjoying spending his free time playing soccer with friends. In 2015, Marcos’ case was referred to Jenner & Block by Kids in Need of Defense (KIND), a not-for-profit organization that identifies pro bono lawyers for unaccompanied alien children. A firm team filed an affirmative asylum application on Marcos’ behalf. The team contended that he had been persecuted because he was a member of a “particular social group” of children living in Honduras without the benefit of parental protection and that the Honduran government has been systematically unable or unwilling to protect such children from child abuse. Marcos had never met his father, and his mother had moved to the US when he was only two years old. Marcos is also Garifuna, an indigenous ethnic group, which exposed him to widespread racism and caused him to be ostracized at school. After submitting Marcos’ asylum application, the team prepared supplemental briefing and demonstrated through three expert reports that Marcos had physical scars consistent with long-term abuse. They also showed that he was suffering psychological symptoms of severe emotional and physical abuse and that the government of Honduras was unable or unwilling to protect children who are without parental protection. The team represented Marcos at his successful asylum interview with the Newark Asylum Office. In 2017, the team filed a green card application on Marcos’ behalf. In July 2018, Marcos received legal permanent resident status, making him eligible to naturalize as a US citizen in 2022. The lawyers representing Marcos through the years included Partners David Lachman and Michael Ross, Associate Melissa Fedornak, former partner Jared Manes and former associate Emily Deininger. The firm filed an amicus brief on behalf of the National Immigrant Justice Center in a suit that challenged the Department of Justice’s (DOJ) use of procedural shortcuts to eliminate protections for people who have lived for decades in the United States. Pereira v. Sessions concerns the case of petitioner Wescley Fonseca Pereira, a native of Brazil who came to the US in 2000 and remained after his visa expired. Mr. Pereira faced removal due to a 2006 arrest. The US Department of Homeland Security (DHS) served Mr. Pereira with a “notice to appear” that did not specify the date and time of Mr. Pereira’s removal hearing. More than a year later, the immigration court mailed Mr. Pereira a more specific notice setting the date and time for his hearing, but the notice was sent to the wrong address and returned as undeliverable. As a result, Mr. Pereira failed to appear, and the immigration court ordered him removed in absentia. In 2013, Mr. Pereira was arrested again and detained by DHS. Mr. Pereira demonstrated that he never received the 2007 notice to appear. He then applied for a “cancellation of removal” which allows immigration judges to decline to order the removal of a noncitizen who meets stringent requirements, such as living in the country for at least 10 years. At issue in Pereira v. Sessions was how to calculate the 10 years. The statute stops this 10-year clock when the government serves a “notice to appear,” which the statute defines as a written notice satisfying particular requirements—including that it must include the “time and place” at which removal proceedings will be held. Despite the statute’s text, however, the government claimed that—as a matter of administrative convenience—it could omit the “time and place” but still treat the notice as stopping the 10-year residency clock. Several courts of appeals had deferred to the DOJ. But the US Supreme Court rejected the DOJ’s approach and held that the clock stops only upon the service of a notice including the time and place of the removal hearing. In its 8-1 ruling on June 21, 2018, the Court cited part of the firm’s amicus brief, which showed that the government had previously used a system that allowed automatic scheduling of hearings. Relying on the firm’s brief, Justice Sonia Sotomayor, writing for the Court, explained that “[g]iven today’s advanced software capabilities, it is hard to imagine why DHS and immigration courts could not work together to schedule hearings before sending notices to appear.” As a result of the Court’s ruling, thousands of immigrants are now eligible to seek cancellation of removal. The team writing the brief included Partners Lindsay Harrison and Zachary Schauf and Associate Alex Langlinais. On January 23, 2019, a team won an immigration case before the Seventh Circuit on behalf of client Ray Fuller, a bisexual Jamaican, who has been in removal proceedings since 2014. The decision overturns the Board of Immigration Appeals order denying Fuller’s motion to reopen his proceedings, and, for the time being, prevents his removal to Jamaica, a country with well-documented anti-LGBT violence. Mr. Fuller came to the United States legally in 1999 on a fiancé visa and shortly thereafter obtained conditional lawful permanent resident status when he married. He lost his status in 2004 after he and his then-wife failed to attend a required interview with immigration authorities. That same year, Mr. Fuller was convicted of attempted criminal sexual assault under Illinois law. In 2014, after serving two years in prison for violating the conditions of his probation, he was placed in removal proceedings. Mr. Fuller, representing himself pro se, filed an application for deferral of removal under the Convention Against Torture. He argued that he is bisexual and that, if he were returned to Jamaica, he would be persecuted and tortured on the basis of his sexual orientation. The Immigration Judge denied any relief, finding that Mr. Fuller had not credibly established that he is bisexual. The Board of Immigration Appeals and then a divided panel of the Seventh Circuit affirmed. In January 2017, Mr. Fuller (still proceeding pro se) filed a motion with the BIA to reopen or reconsider its decision denying deferral of removal. He claimed that the IJ’s and BIA’s credibility determination was incorrect and that he is, indeed, bisexual. In support of his motion, he submitted three letters from individuals in Jamaica who have known him for decades, who confirmed that he is bisexual, and who stated that he would be killed if he were sent back to Jamaica. The BIA denied the motion. Mr. Fuller filed a pro se petition for review with the Seventh Circuit along with a motion for a temporary stay of removal. In January 2018, a panel of Judges Wood, Rovner and Manion denied the motion for a stay, finding that Mr. Fuller was unlikely to succeed on the merits. Our firm was appointed by the court to represent Mr. Fuller in March 2018. Two days before our representation began, Mr. Fuller had filed a second motion for a temporary stay of removal. After our appointment, we filed a submission in support of Mr. Fuller’s motion, which was referred to the same panel. This time, the panel entered a stay. The team then submitted briefs on the merits arguing that, although the BIA had the discretionary authority to deny Mr. Fuller’s motion to reopen, the BIA had committed an error of law in its purported exercise of that discretion. This was no easy task: we were arguing that the BIA erred in exercising discretion that courts had held was unreviewable, and to a panel that had already found Mr. Fuller was unlikely to succeed on the merits. On November 1, 2018, Associate David Diesenhouse argued the appeal. In a 2-1 decision issued on January 23, 2019, the Seventh Circuit ruled in Mr. Fuller’s favor. It held that, although the BIA had discretion to grant or deny the motion to reopen, it had to exercise that discretion in a lawful way, which includes a requirement that it engage in a reasoned analysis of the evidence and arguments submitted to it. The court vacated the BIA’s denial of the motion to reopen and remanded for further proceedings. David was supervised by Partner Matthew Price and Of Counsel Barry Levenstam. Associate Tali Leinwand and Paralegal Mary Frances Patston also worked on the case from the beginning and provided invaluable support on the briefing and other submissions.